And from who better to draw inspiration, than the witty word-weaver, Jane Austen? I love a well-written heroine, but not even the best heroine can outshine the perfect hero (for me), so I thought I’d start off our Valentine’s week with PART1 of 3 swoon-worthy posts ;-). 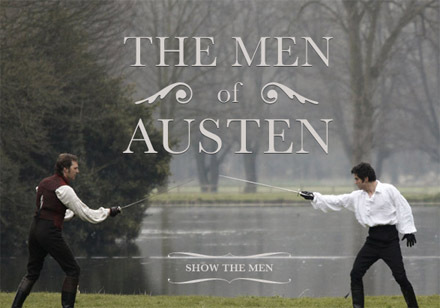 As we think of Austen's men, one thing to keep in mind is their very ‘humanness’. They are not perfect, sometimes their character flaws are quite obvious – but throughout the stories their imperfections are met with the perfect match in their heroines. They are vulnerable and fallible - which makes them realistic. That’s why we end up liking…or loving them. That's also why they are memorable. Though many of you will prefer the latter two hero-types, I’m going to save those for Part 3 and discuss the ‘less popular’ two today. Please remember, less popular does not mean less important. In fact, The Subtle Servant is one of the most quietly beautiful hero-types out there. Our dear, Casey Herringshaw, has a beautiful example of one in her current WIP and my hero in book 3 of my Mitchell's Crossroads series is a Subtle Servant too. So, let’s get on with the first two, shall we? This is not to say these men do not want to be heroic. This type of character has the heart of a hero, but doesn’t always show those characteristics until situations or circumstances (or the right woman) force them into the fray. Unfortunately, this is often viewed as indecision or weakness of character. He doesn’t truly realize his ‘hero potential’ until he must become the lead man in the situation, or in the heart of the woman he loves. Insecurities may cloak his awareness of his own heroism, but he will rise to the occassion. Everyone makes mistakes, right? But not everyone stands by their poor choices to honor their own promises. Though Edward's character appears weaker than his romantic counterpart, Eilnor Dashwood – and certainly less constant than his fellow hero, Colonel Brandon, Edward’s compassionate nature and anchor-to-duty becomes apparent when he is forced to take a stand – even against his supercilious mother and sister. And he does exhibit character growth. In the beginning of the novel, he has NO control over his life –and has allowed his mother and sister to make choices for him. By the end – and through poor choices and convenient circumstances- he becomes the owner and creator of his life. Elinor sees him as a hero - and he's a great match for her, because doesn't long for a raging romance, but a steady flame. She gets it in her perfect hero. Not dark or dashing, but a good heart and someone who will choose to do the RIGHT thing, even if it hurts. Mary Connealy’s heroes: Alex and Logan in the Sophie’s Daughters series. Patrick O’Connor strikes me as a reluctant hero in Julie Lessman’s Christmas novel, A Light in the Window. Ryan Reynolds’ character in The Proposal and maybe even Aragorn in The Lord of the Rings. Mr. Fantastic from The Fantastic 4 could fall into this category too. This hero is also one that obtains less glory from ladies who prefer dark-and-brooding. This type of hero usually makes himself known in the subtle, small, and quiet ways – being available, observant, and faithful. In fact, being noticed is the furthest thing from his mind. He may not charge onto the field on his steed, but he will seek out a heart-sore woman and carry her through the rain to shelter. He will rescue a ‘fallen’ woman from a life of destitution, he will provide a means of income for a ‘good’ man who has lost his inheritance, and he will hold on to love in an unassuming, yet strong-as-steel, sort of way. I absolutely LOVE this type of hero – even though he’s not as popular. There is a quiet strength about him and an undeniable sense of faithfulness. Colonel Brandon – is a sensitive and subdued man who suffered the loss of his lady-love when his parents refused the match – then his lady fell into the life of promiscuity and finally died, so he took her illegitimate child into his care. Now, after years in the army and unmarried, this sensitive man finds a ‘kindred’ spirit in the young Marianne Dashwood. 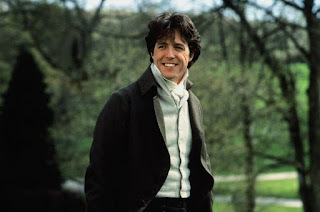 Due to Marianne’s indifference to him, and the apparent age-gap, Colonel Brandon maintains a friendship with the family, and ready service to them, but does not pursue Marianne. Brandon’s acts of kindness are sprinkled throughout the story in quiet, and finally, grand ways – until Marianne sees him for the hero he truly is. I think he is a reserved romantic, whereas Marianne is an overt one. The nice comparison between Colonel Brandon and his counterpart, Willoughby, is to show that the true test of love is in trial and time. Colonel Brandon succeeds on both counts. Red Shirt in Laura Frantz’s fantastic novel, Courting Morrow Little. Wade Sawyer and Grant Cooper in Mary Connealy’s Montana Marriages series. Maybe Jack Buchanan from Liz Curtis Higgs amazing novel, Mine is the Light, might fall into this mix too. Okay - it's your turn. Can you think of a book you’ve read…or one you are writing, where the hero matches either of these descriptions? What about all you Austen fans out there? Do you have a soft-spot in your heart for any of the ‘quieter’ Austen heroes? Oh, PEP, what a fun, fun post ... and PERFECT for Valentine's week!!! First of all -- thank you, thank you for citing Patrick O'Connor as a reluctant hero!! I actually never thought of that, but you are dead on, and it's kind of fun to see him that way. I saw on Facebook that you mentioned I am prone to bolder heroes and you are right, so I am not normally drawn to the "Subtle Servant," which is what I think John Brady was in my series. Ironically I am currently writing book 3 of The Heart of San Francisco series and did not realize until I read your post this morning that my hero fits into that category perfectly, so thank you for helping me to understand him a bit more. I think a good example of a Subtle Servant in film would be Colin Firth's character in Bridget Jone's Diary -- not as flashy or bold as the womanizing Hugh Grant, but solid as rock. Pepper, I love this post. As I begin crafting my next hero, you're giving me great things to ponder! I, too, love Edward Ferrars as a hero, and Col. Brandon. My mind is blanking on others at the moment. Oh, I thought of a possible Subtle Servant: What about Jean ValJean? Wonderful post, Pepper! Don't we love talking about heroes! I really love both these types of hero. The kind of guy that's always in the background, strong and steady, ready to pick up the pieces, help the heroine and do what's right. Can't think of any examples off hand. Oh, except I watched "Enchanted" this weekend and Patrick Dempsey's character was definitely a reluctant hero! Love that movie! I am prone to write bolder heroes too. But I love your take on this and might need to think seriously about switching up my MO for a quiet, sensitive sort of man. Since I write suspense I tend to have the male lead be a sort of take charge, stubborn, arrogant soldier type. But I have to say my heart melts with the sweet subtleties of a quiet hero too. Oohh, JULIE, I think your Patrick is a great example! And I guess I like the reluctant hero a lot because John Brady was one of my favorite heroes. JEANNE, I think Jean VJ is an EXCELLENT example and one of my favorites. SUSAN, Never seen Enchanted but it sounds like a great example. LAURA, LOL, I think its so natural that your SW background would come out. My teaching background definitely does in my stories I think. Love this discussion, and it's interesting to hear these are the "less popular" types, since they are my favorites! The funniest thing is that I finally recognized my pattern after the first two stories, and just to "mix things up a bit" I created a dashing hero for my 3rd novel. But, darn-you seat-of-the-pants, my dashing hero swooped in to save the life of the best friend and ended up accidentally engaged to her. Which suddenly opened the door for his brother (yeah, a beta) to try and convince the heroine he's loved her all along and isn't just trying to cover for his brother. "In the voice of one driven past all endurance, 'Good lord. What are YOU doing here?!'" "How would you feel if you met your best friend in hell?" Subtle Servant-- The good men in Victoria Hanley's novels *Seer & the Sword* and *The Healer's Keep*. I'm sure these guys were a huge reason I fell in love with those books. And for a movie example, what about Harold Crick in *Stranger than Fiction*? I was going to put Brady in the "good guy' or 'best friend' category - what do you think? Oh I love these guys too. In truth, I think we are drawn to one or two hero-types more than others. I KNOW I am drawn to the funnier/friendlier ones, although I do like rogues. From what I've read of your 'bold' hero...you are doing JUST fine.